SKU: LP67849. Category: Health & Fitness. Tags: back pain, muscles, piriformis, sciatic nerve, sciatica. 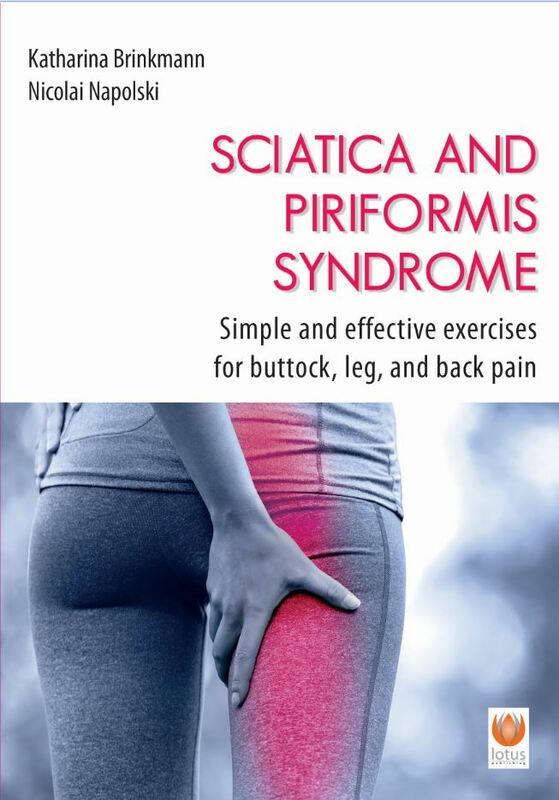 Sciatica and Piriformis Syndrome reveals the real cause of sciatica and how you can treat it simply and effectively at home. Do you suffer from back pain that radiates out into your legs? You are not alone. Roughly one in three people suffers from the same. Traditionally, doctors automatically suspect a slipped disc but intervertebral discs aren’t always to blame. In many cases, there is an infection in the piriformis muscles that presses on the sciatic nerve that is causing the pain. If piriformis syndrome is recognized early, it can be much more precisely and effectively treated than, for instance, a slipped disc. Even simple stretching exercises have proven astonishingly effective. Katharina Brinkmann is the founder of YOU Personal Training. In addition to being a yoga instructor and personal trainer, she is also a sports therapist. Among other things, her work focuses on fascia and mobility training, which she successfully combines in her book Yoga – Fascia Training.